Sabah is an interesting state to visit, especially when the state consists of a huge variation of local cultures which are different in their very own ways. 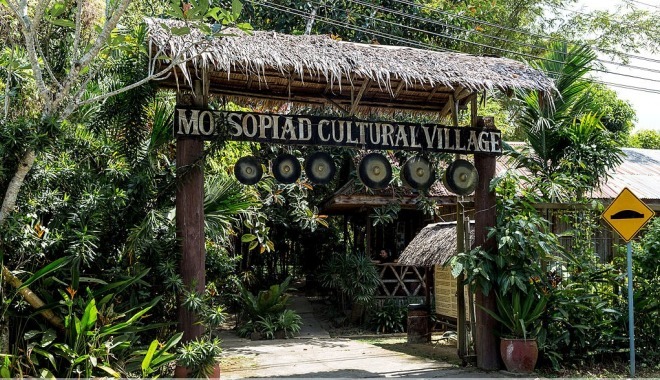 If you are interested with the local cultures in Sabah, you can head on to the Monsopiad Cultural Village located in Kota Kinabalu to discover more of the local tribe’s uniqueness in the village. It is extremely easy to discover the Monsopiad Cultural Village. Upon arriving at the village, you will realize that the village is basically build up with various traditional houses, all constructed with the traditional and local building skills implemented by the local people. All of these skills are also being passed down for many generations and thus, when you are in the village, do not forget to have a good look at the buildings in the village for a start. Inspired by a legendary warrior – Monsopiad – who is feared by many, the village also consists of villagers who admire and respect his contributions and sacrifices to the village and to the country. Thus, a little bit of understanding on the history of the village can also help you in further exploring more of the village’s hidden story when you are visiting the village. You can also head on to the Tangkob (or also known as the Grainery) located in the village to know more about the padi plantation in the village. Here, you can learn more about the daily activities of the villagers by taking a step to know the ways they manage their plantations. Besides, you can also visit the Main House of the village, which you will be exposed with more knowledge on the villagers – the descendent of Monsopiad, warrior of the village. In the Main House, you will also get to see all kinds of equipments, tools, and decorations – mostly handmade by the villagers themselves – presented on the shelves and almost every corner of the Main House. These decorations include the bamboo items and ceramic jars, which of course, consists of many footprints and handprints of the local culture embedded on them. Apart from that, you can also visit the traditional restaurant in the village which you can reward yourself with a meal made entirely by the local people with the traditional local cooking skills after a whole day of exploration in the village. This would definitely be one of the best rewards you can find in the village, judging on the fact that you are able to taste the local cuisines which you are unable to obtain easily elsewhere.